August 2 in SM City Marilao. SM Foundation’s Gamot Para Sa Kapwa Medical Mission is being held in SM Malls to provide immediate medical benefits to indigent patients within the malls’ vicinities. Beneficiaries can avail various services such as medical checkup, dental extraction, vital signs monitoring like blood pressure checkup, and the basic laboratory examinations that include cholesterol test, sugar test, and urinalysis. X-ray test and electrocardiograph (ECG) will likewise be avelectrocardiographFoundation’s Mobile Clinic. Free medicines and other health supplements will also be provided for beneficiaries. Last April 6, a total of 1,161 patients benefitted from SM Foundation’s “Gamot Para sa Kapwa” Medical and Dental Mission at SM City San Jose del Monte. 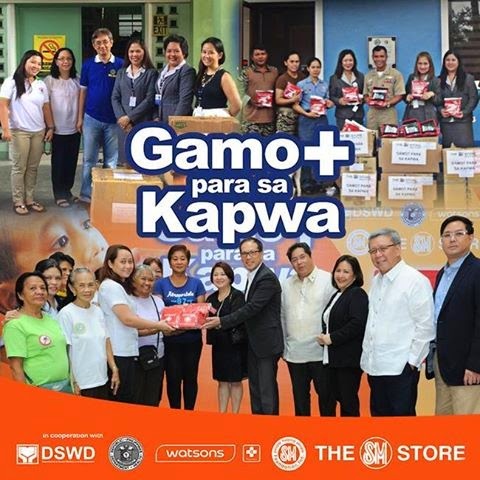 For Baliwag, Marilao and Pulilan around 3,000 Bulakeños are targeted to benefit from SM Foundation’s Gamot Para Sa Kapwa Medical mission. The medical mission in SM City Baliwag, SM Center Pulilan and SM City Marilao will be held from 8AM until 3PM.